From an MGM memo after the first showing of THE WIZARD OF OZ: "That rainbow song's no good. Take it out." From a modeling agency that rejected Marilyn Monroe in 1944: "You'd better learn secretarial skills or else get married." Lord Kelvin, 1897: "Radio has no future." "X-rays are clearly a hoax". "The airplane is scientifically impossible." Concert manager who fired Elvis in 1954: "You ought to go back to driving a truck." MGM executive, advising against investing in Gone With The Wind: "Forget it. No Civil War picture ever made a nickel." Film Company's verdict of Fred Astaire's 1928 screen test: "Can't act. Can't sing. Slightly bald." U.S. Admiral William Leahy in 1945: "The atom bomb will never go off - and I speak as an expert in explosives." Radio Times editor in 1936 "Television won't matter in your lifetime or mine." Director of the US Patent Office, 1899: "Everything that can be invented has been invented." Welcome to the Yellow Gazette. We hope that this will be a valuable asset to everyone who visits, or who builds in Yellow. It's a big world with many outstanding builders. This newsletter will feature them in coming editions. We will feature regular columns which can be visited by using the navigation links on the left. There is the "Build of the Month", where we will feature some of the creative work of Yellow builders. "Building Tips" will be suggestions from builders based on their experiences. There are some interesting wrinkles that have driven us all crazy! 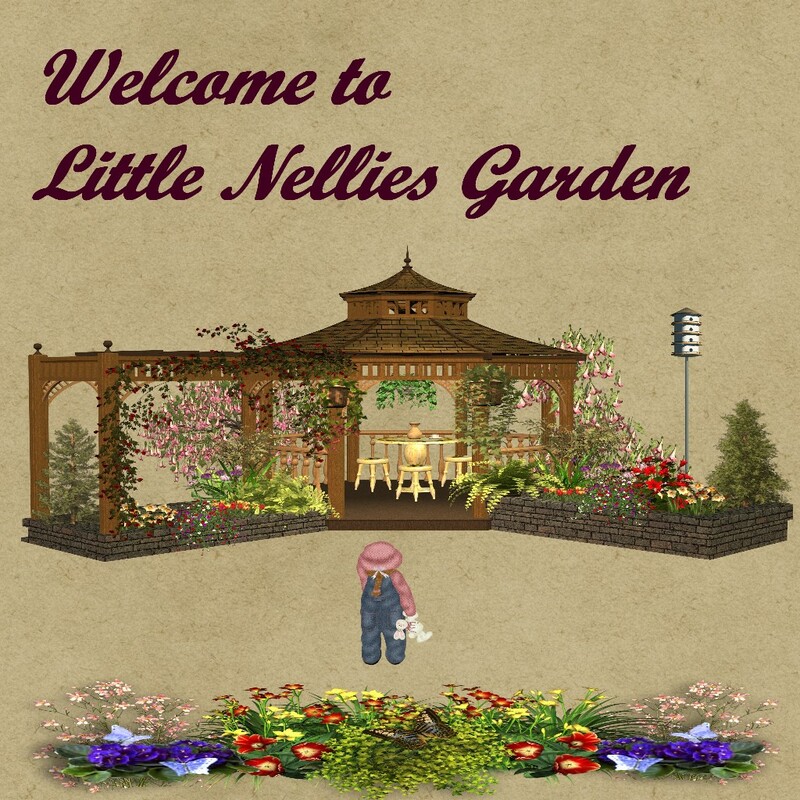 And for landscaping, plants and such, visit "Little Nellie's Garden", where each edition will feature tips on landscaping and offering plants for use. However, like any periodical, we will rely on input from our readers, both in terms of feedback on what they like and don't like, but more importantly, a willingness to submit copy. The more there is, the richer the newsletter will be. So, happy reading, and let your fingers trip lightly over the keyboard as you prepare materials for your newsletter. We look forward to hearing from you. 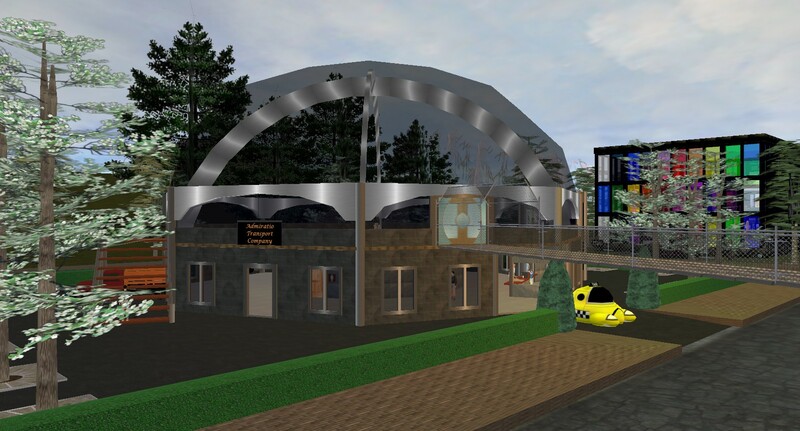 The Admiratio Village is growing quickly, and in order to keep up the momentum, Ozman and Apooka have developed a Transport Centre, where you can catch a bus to various locations in and around the village. The vehicles are 'server side' movers, so the routes are fixed, but are guaranteed to give you a good ride. In some cases, the route is long, so you will have to transfer buses -- just click on the next mover and away you go! To get to the transport centre, you can use the command "ap:goto xport" (without the quotes), or you can teleport to 160.5S 1620.4E 0.01a 270. Then, simply select one of the rides there. As this is a work in progress, there will be continual changes, all for the better. Server side movers are very useful to let others use a mover that you have created. In Yellow, only the creator of a user controlled mover can use it, thus limiting the ability for visitors to move around. Server side movers will let anyone ride them. In the next edition, under Building Tips, we will focus on developing movers.